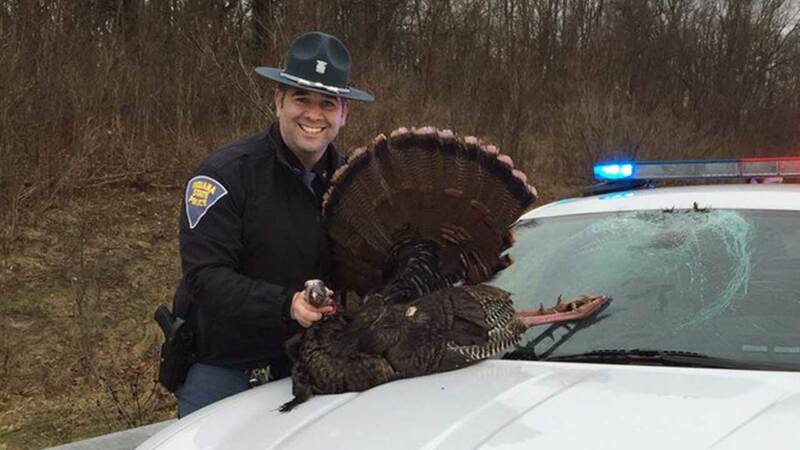 LA PORTE COUNTY, Ind. 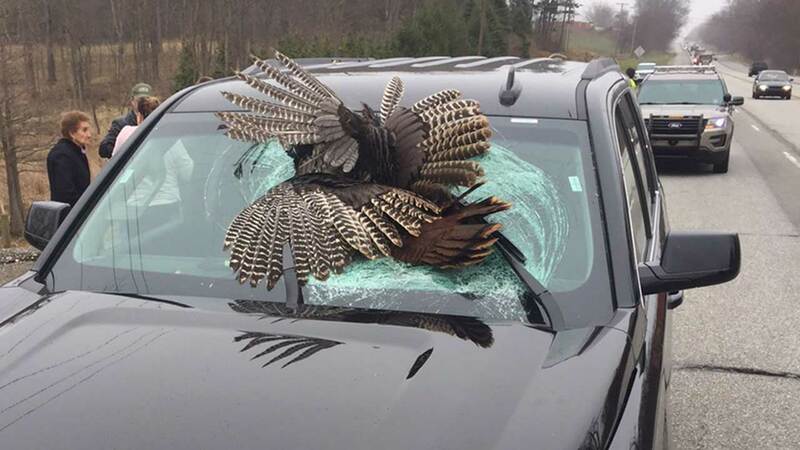 -- A 30-pound wild turkey was killed Tuesday morning when it was impaled in the car windshield of a New Jersey family visiting Notre Dame University in Indiana, according to the La Porte County Sheriff's Office. 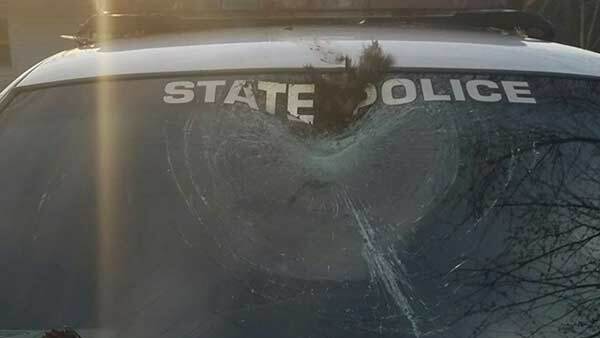 The Taraboczhia family of Emerson, N. J., had just left Notre Dame, where their daughter Riana was just accepted, and was traveling west on U.S. 20 near Wilhelm Road when the bird flew into the path of their rental vehicle. 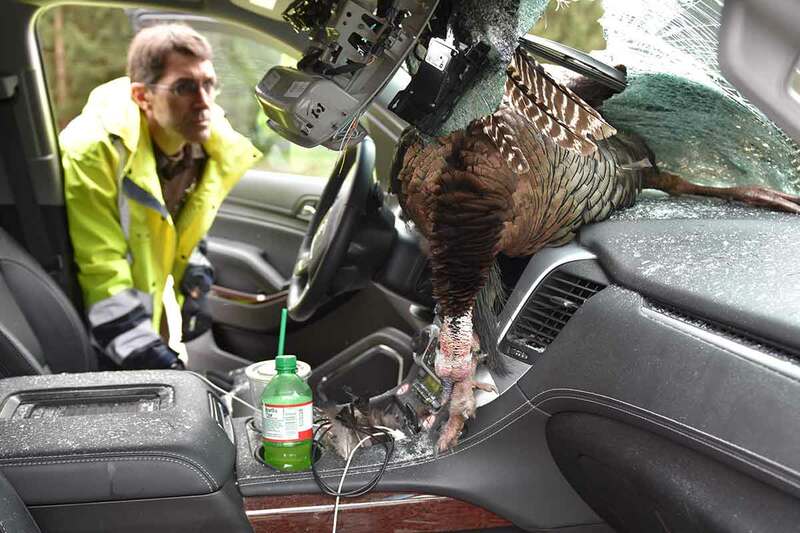 The five vehicle occupants -- husband, wife, daughter, teenage son and mother-in-law -- sustained minor cuts from the glass. The family was driving back to O'Hare International Airport in a black 2016 GMC Yukon. 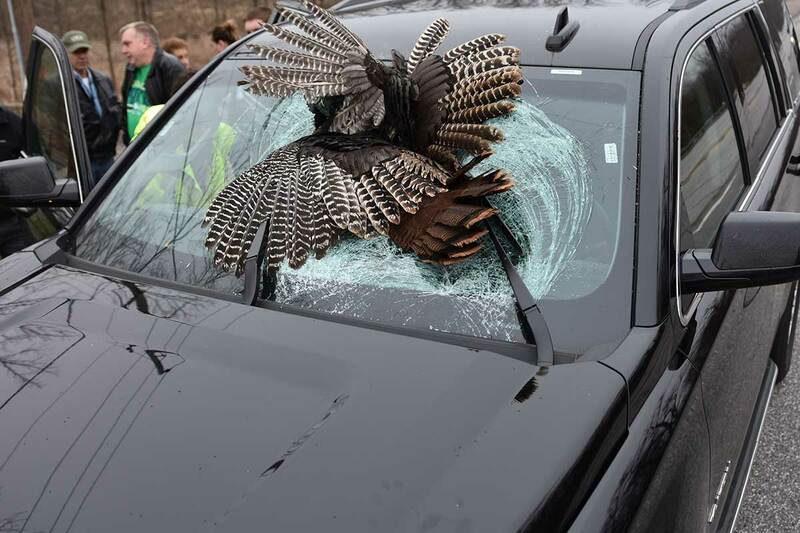 During mating season for wild turkeys, they are often on the move and can be as hazardous as deer, police said.